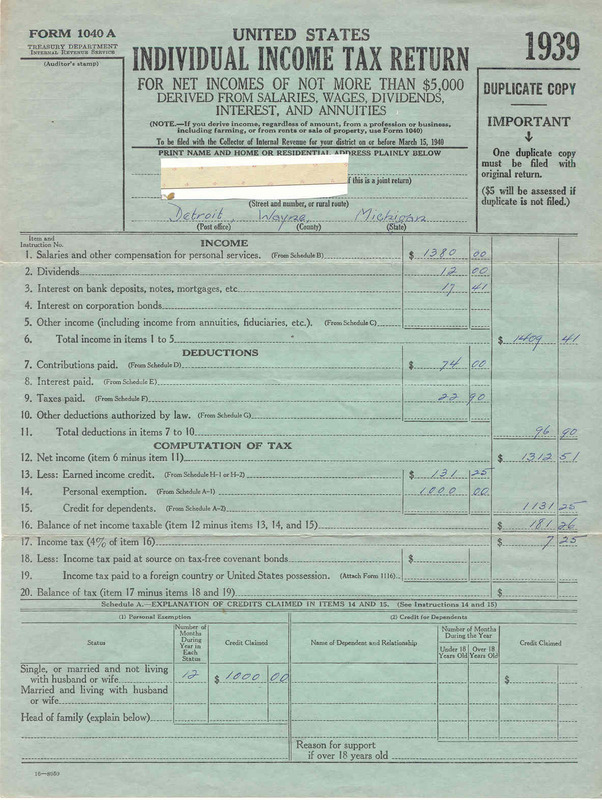 Practice in Time: Did you get your taxes done in time? Did you get your taxes done in time? 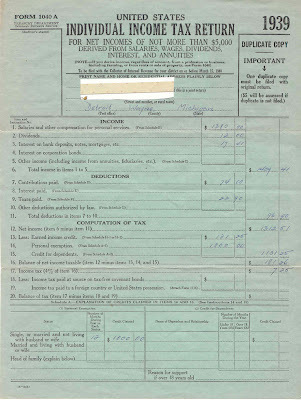 Here at the PIT, we strive to be unique- I bet you could search blogger all day and not find this: a 1040 from 1939. Yep, this is the whole form. One page, front and back. 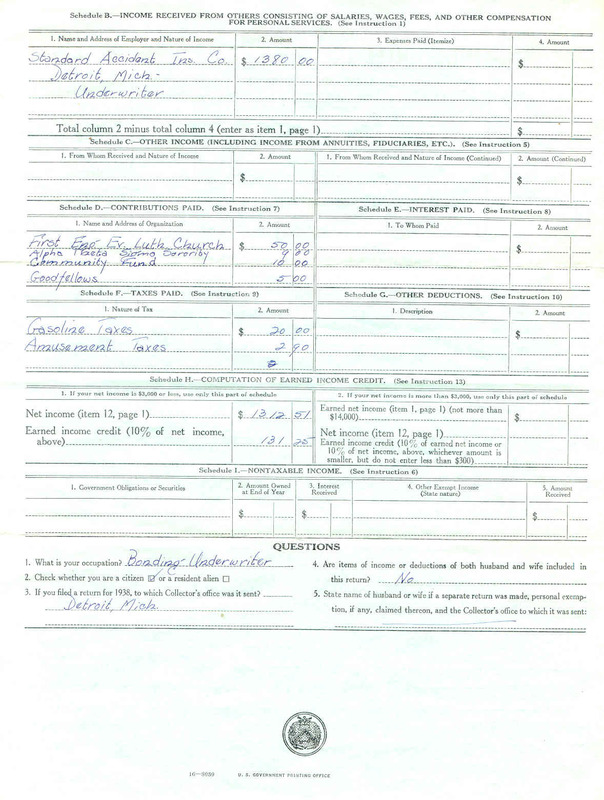 No Schedule D or K or UE, or even a W-2. Heck there isn't even a Social Security # on it. 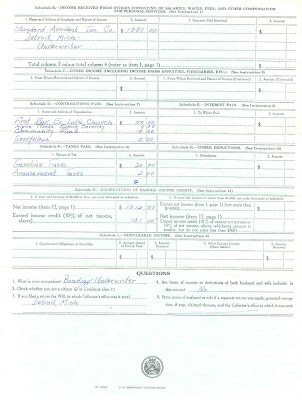 Having just spent a solid week on preparing my federal, state and local returns, the simplicity of this form is breathtaking. The good old days indeed! Thrifted Earth Day - the original way to recycle!